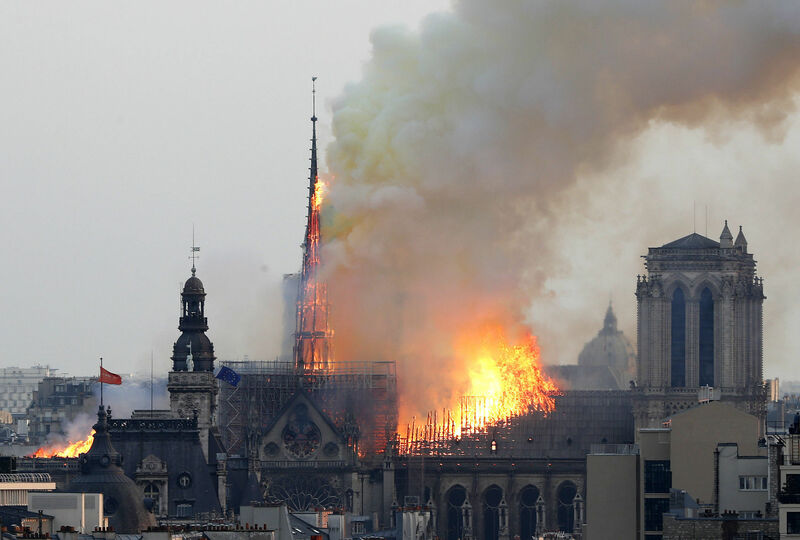 Gasps and cries of "Oh my god" erupted at 7:50pm (1750 GMT) when the top portion of the church's spire came crashing down into an inferno that has spread to the entire roof. 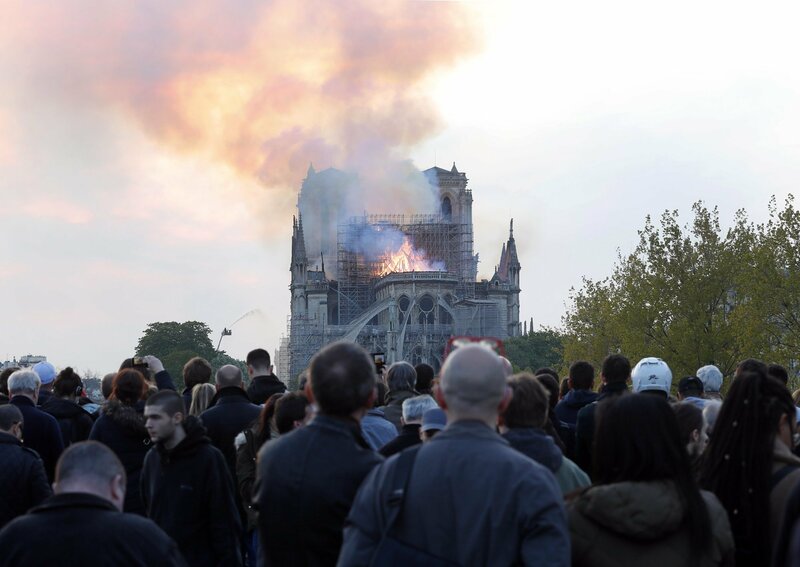 Her mother, Mary Huxtable, 73, said: "This [Notre-Dame] was on my bucket list to see. Now I'll never go inside." It is a big tragedy. It is something which survived the worst of fighting during WWII and it has to end in this very sorry way. OMG! I went there August 2018 and it was so pretty and feels very holy and peace. The manager should be taken to task. Horrible tragedy! How could this happen? Was it malicious arson? Who did this? Shocking. It's so sad. It took 200 years to built that 850 years old cathedral. Restoration work can take a long time.. It was visited by millions of the people. Many relics including Crown of Thorns and Tunic of St Louis have been saved. Firefighters are doing great job. It is a devastating day for Paris. Smoke and terror in any form should provoked. Alas! We witnessed even more darker flame and smoke in Afghanistan an Nothern Pakistan, for a half of century. Very sad. A part of world history gone. What natural disasters could not do for 800 years, modern life has done it in 3 hours. If France can not protect its heritage, that is the end of its civilization. I wonder if the "gilets jaunes" have something to do with it. I am so shocked that I am unable to make any comment. A History went up in flames. What a shame. 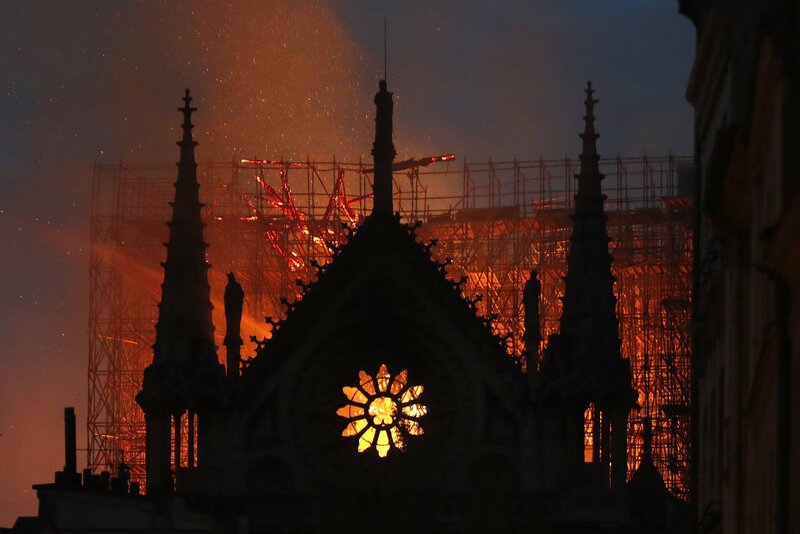 Sad ..A rich heritage for mankind burned to ashes. 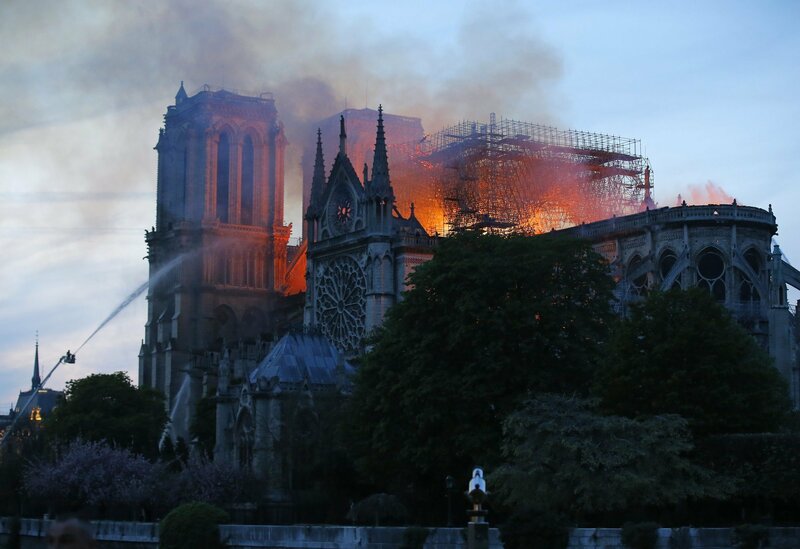 We always thought of Notre Dame as indestructible. Very sad indeed . One of the most beautiful sight of Paris. Last year my wife and I on our way back from a trip Morocco we stopped over in Paris for 5 days and after standing in the queue for several hours we got into to see the magnificent piece of history. 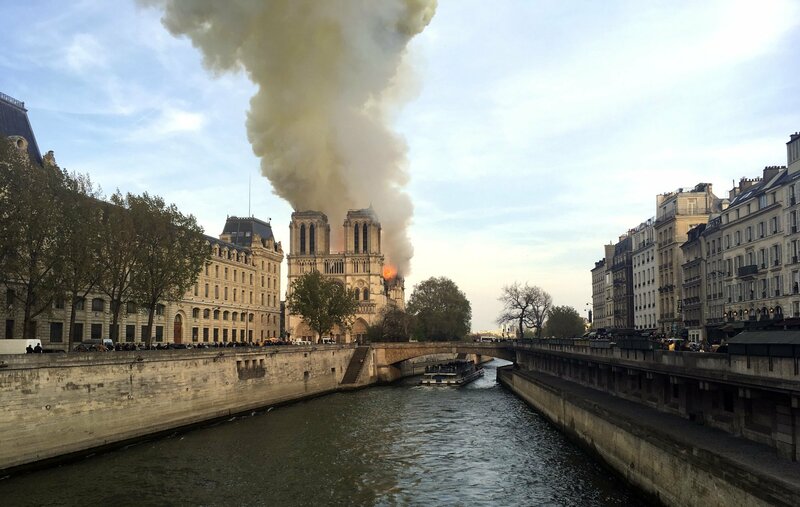 Sad to learn of history up in smoke. Very sad to see this damage and loss of heritage. Lesson learned, these precious sites are usually very high and huge therefore a fire extinguishing system needs to be built within while regularly renovated or maintained to avoid such irreparable loss. Every rise has a fall. Nothing is perfect except The One. Very sad. A religious worship place destroyed in such a way. However, the cause of the fire should be investigated, to avoid such a horrible incident. 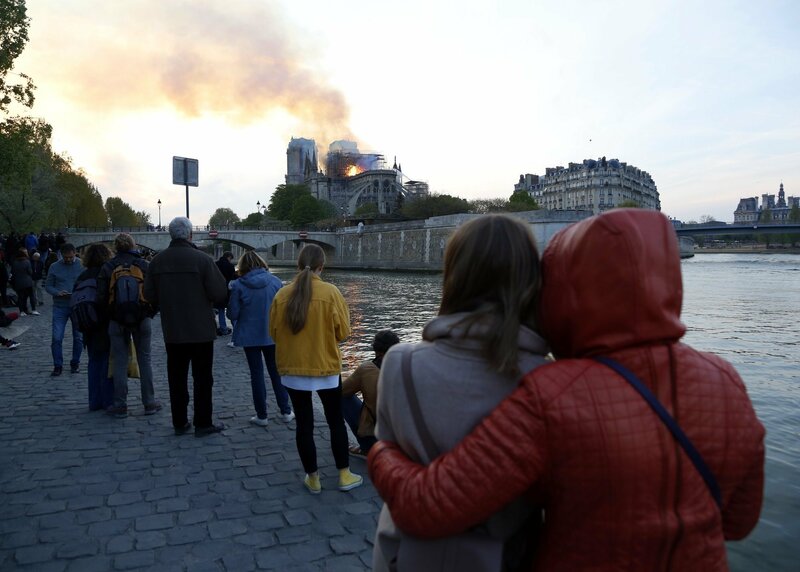 Paris won,t be the same without it.visiting Paris without Notre-dame is impossible to imagine.River Seine lost one of its prime neighbor. A very sad day for Paris! What a pity! Mr. Macaron's govt has focused all of its energies on taxing people and not taking care of historic sites properly! It is sad but everything made by man has to come to an end some day or the other. Natural forces will prevail in the end. We should quietly shed a tear and then move on. Really very sad news. Notre-Dame Cathedral carries a historical value except for not only Paris rest of the world history lovers also. A 800 years Cathedral ruined by the fire. This is really a Sad news. 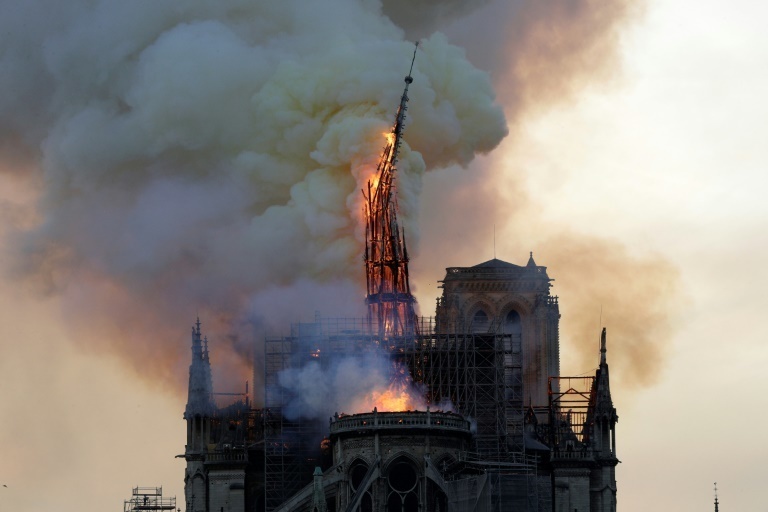 Hope that French would rebuild the Notre Dame cathedral. It is a true symbol of France! Exact causes of the fire to be investigated and made public in order to save similar heritages across the World. 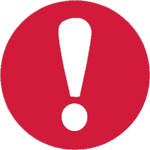 Fires can be and must be avoided. Was not any alarm or sprinkles system was in place in such an advanced and super developed country ???? 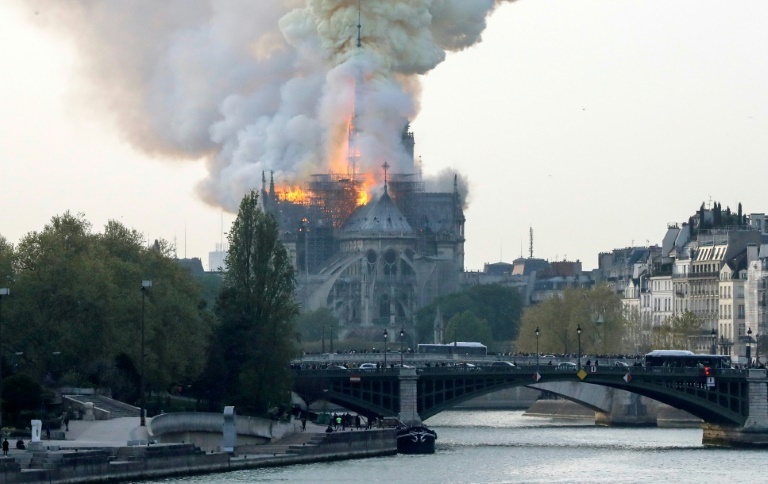 So sad to hear of an 800 year old Cathedral getting destroyed by a huge fire.The name Notre Dame brought back the memory of a Classic Movie of Anthony Quinn and Gina Lollobrigida The Hunchback Of Notre Dame connected with this Cathedral. 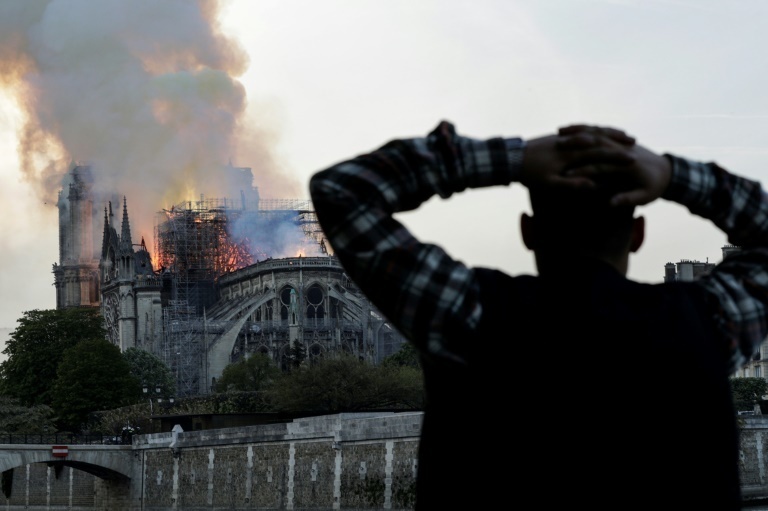 The sorrow of Notre Dame reflects the current climate in France. The expulsion of all things Notre Dame unfortunately. Hopefully it will be restored to its original shape. So sad. The whole world is weeping. Nothing compared Notre Dame. Paris wont be the same without this magnificent structure. oh its very tragic.. whats the main cause of fire flames?? is there any flameable thing put over there..